Analysing the data produced by your social media analytics can give you an informed picture of what you are doing wrong and what you are doing right. 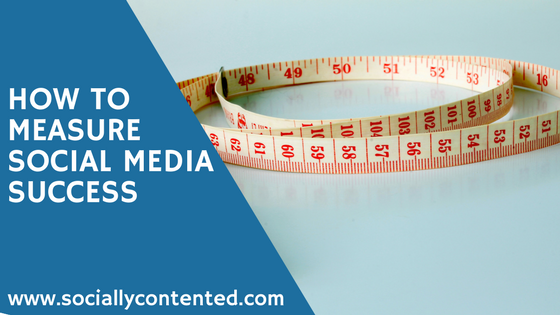 This blog isn’t going to look at the often controversial subject of ROI (Return on Investment), but at how you as a business owner can measure the metrics of your social media channels to see if you are publishing the right kind of content and attracting the right kind of customer. Those, after all, are the only kind you want. The obvious way is by follower count. While no business should get hung up on their follower numbers, I do not believe they are ‘vanity metrics’ as long as they are engaged followers who are actually interested in your business. It’s good to see steady growth month by month, and this is much more likely to bring you followers from the sphere of your target audience if you are publishing appropriate and useful content, rather than 1000 followers for $20, most of which will be fake accounts. On Facebook Insights you can track your followers over a period of time (usually the last 7 or 28 days). You can also see which posts were the most popular, and at which time of day, which will be very helpful in planning your future content strategy. Your Twitter profile displays your follower numbers, and all other trends and statistics can be found in the Analytics section. You can reach it from the drop down menu found by clicking on your profile picture at the top right of the Twitter page. If you scroll down you will be able to see statistics for complete months, including the follower with most influence, the most popular tweet and the times where tweets got the most engagement. Before you craft a social media marketing strategy for your business, you need to understand your target audience’s behaviour on social media. 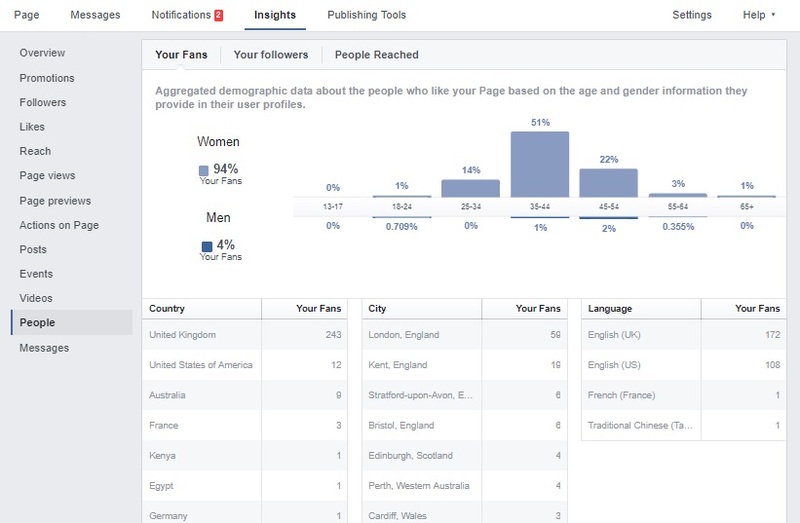 Assuming that you already have some followers among your target audience, you can study their reactions to your posts by looking at the analytics for each channel. This is why, when I take on a new client, I don’t finalise a strategy or do any posting until I have carefully studied the business’s channels, their audience and their competitors to find out what they are interested in. If your channels are not performing at optimum level yet, you can still learn what DOESN’T work from the analytics. Any content that isn’t getting engagement needs changing or cutting – maybe it would be more suited to another channel or maybe it just isn’t interesting. 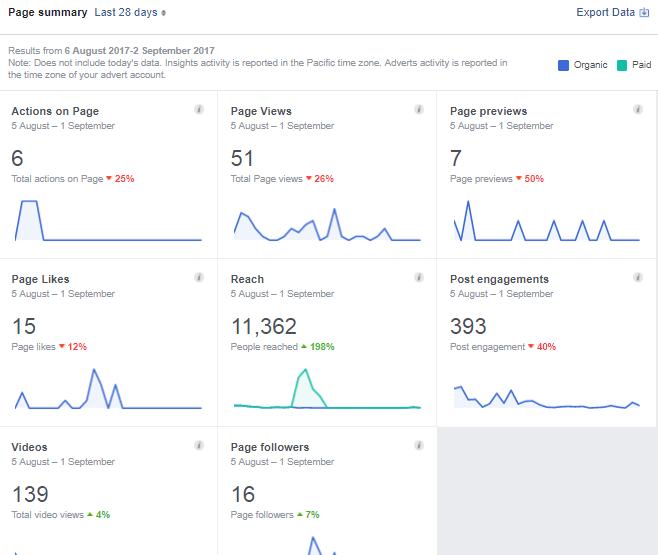 Facebook provides very detailed analytics in the Insights section, and once there if you click on Posts to the left you can see how successful each of your posts were. It’s very important that you regularly check how your posts are being engaged with (or if they are). This allows you to make tweaks and changes to create more interesting or helpful content for your target audience. Twitter Analytics allows you to do much the same although you cannot go into so much detail about individual tweets. It will give you your engagement rate for each tweet – the average on Twitter is 0.7% so aim to do better than that! In order to be up to speed at all times, you need to be monitoring social conversations for certain keywords relevant to your business. This includes not only your own business name but perhaps a few of your competitors’ names and keywords that are important in your industry. You can use a tool such as Google Alert for this, it’s free and very easy to set up. You will then be alerted by email each time the keyword is published, so make sure it isn’t too general. You don’t want to be constantly alerted. You will also be notified by Facebook or Twitter if you are tagged or @mentioned on those channels. Remember we mentioned finding your target audience on social media? If you have previously worked on identifying your ideal user persona it will be a lot easier to find your ideal customers online, and if you are using Facebook Advertising to target them very precisely as well. Start by looking at your Facebook Insights. If you click on ‘People’ at the left, you will bring up the demographic insights into your followers. You can see that the followers for this page are overwhelmingly female, so any advertising would definitely be targeting females over males. You can also identify followers by age and geographic location easily. On Twitter the demographic view is broader but still useful. 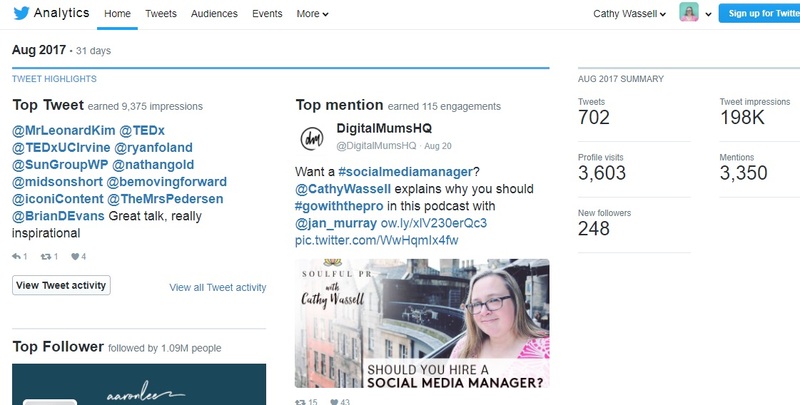 In Twitter Analytics click the Audience tab at the top of the page and you are shown an interesting overview of your followers with the option to delve further into their interests and behaviours. Your Facebook or Twitter reach is hopefully not confined to your followers. When your followers engage with your posts by liking, sharing or commenting, the posts are shown to their followers also. It becomes obvious therefore that the more entertaining, interesting or helpful you can make your posts, the more engagement they will get and the more reach they will have. In Insights, click on Reach to the left. You will be able to see your reach (the number of people who have seen your posts) over a period of time and for each post. On Twitter, essentially the same measurement is called Impressions. When in Analytics, if you click on the Tweets tab to the left you will be able to see a series of columns, one of which is for Impressions, broken down for each tweet. The more people share or comment, the bigger this number will rise, as your reach rises. Of all the engagement possible on your social media channels, sharing is valued highest. 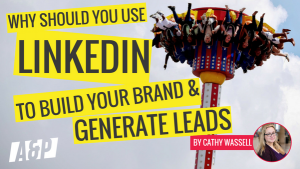 If you have produced content which has been heavily shared, make more like this! If you don’t have a look at other accounts within your industry and see what kind of content is popular. Sharing is caring, after all. If you haven’t set up Google Analytics for your website it’s time to start right now. This will enable you to track the potential customers who have visited your website directly from Facebook or Twitter. 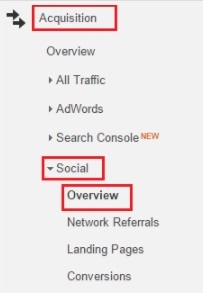 To track this, click on the Acquisitions tab, then on Social, then on Overview as seen in the diagram. Under Network Referrals it will list visitor percentages from different social channels and how long they stayed on the page. Since your aim is likely to be to drive traffic to your website, these numbers ought to be growing each month. Tracking your brand’s performance through metrics on each social media channel is the best way to measure the success of the content you are posting. If it’s not reaching the people you want to reach, you can change it, but if you are not monitoring you will never know and keep churning out the same kind of unpopular posts. Are you monitoring your metrics? Do you change your content strategy according to the data given in the analytics? If you’d like to a professional to take a look we will be happy to help. 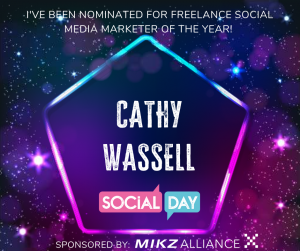 Really great blog post Cathy. I really need to start tracking our social activity more. Will certainly be sharing this.